Within a decade the U.S. will face a retirement crisis. The percent of workers covered by a traditionally defined benefit pension plan that pays a lifetime annuity has declined from 38% to 20%. The percentage of workers in the private sector whose only retirement is a defined pension plan is now 10%, down from 60% in the early 1980s. A staggering 68% of working-age people (25–64) do not participate in an employee-sponsored plan. Only 7% of Fortune 500 companies offer traditional pensions to new hires. 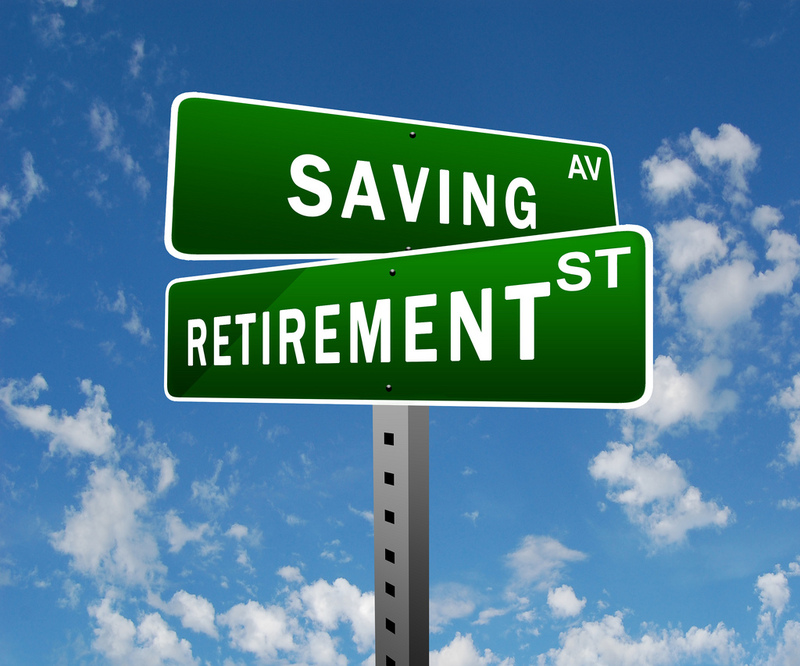 According to recent studies, the U.S. retirement savings deficit is between $6.8 and $14 TRILLION. 45% of working-age households do not have ANY retirement account assets. According to Fidelity Brokerage, a couple retiring in 2015 with average life expectancies of 85 for a male and 87 for a female will have $250,000 in healthcare costs. 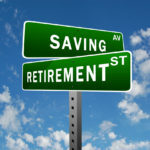 28% of workers have no retirement savings. For the real estate industry, the retail assets not considered “essential” will suffer; and affordable housing (senior and conventional) and self-storage will flourish. The San Diego regional economy remains healthy, posting its 5th straight year of positive job growth, with unemployment currently at only 4.2%. The regional apartment market remains strong for investors — with rents forecasted to have sustained growth of 3%-5% and vacancy rates forecasted to hold steady at 5% county-wide in 2017 — due to high demand for rental housing. Buyer demand remains strong as investors and 1031 exchangers search for both turnkey and value-add properties. Interest rates have increased by about ½ of 1% since the 2016 election, though lenders continue to have a strong appetite for loans secured by multi-family assets. Still, expect rising interest rates to result in rising capitalization rates and downward pressure on apartment values moving forward. In 2017, the Federal Reserve Board projects at least three interest rate hikes of 0.25% each; and cap rates are expected to increase by 100 basis points. Be careful with low cap rate investments! The US real estate market anticipates at least two economic policies will occur as a result of the Trump election: (1) the lowering of corporate tax rates and (2) deregulation of the capital markets. 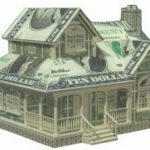 Beneficiaries of such changes include the banks, all incorporated businesses, and owners of high-priced homes. The increase in after-tax earnings retention has already caused the stock market to rally since the election. Not surprisingly, mortgage applications have already declined by nearly 10%. As mortgage rates go up, home sales will decline. 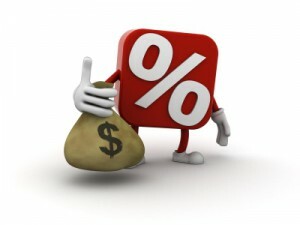 A 25% increase in mortgage rates from 4% to 5% translates into a 25% decline in sales volume. 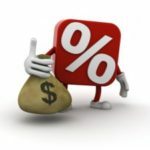 Interest rates will necessarily rise because, as Trump lowers corporate tax rates, but does not cut federal spending by a similar amount (he plans to spend at least one trillion dollars on infrastructure), the deficit will grow. This means the government must borrow more money at higher rates, or print more money, leading to increased inflation. Either way, mortgage rates must go up and the housing market will slow down. The contrary argument that increased corporate profits will lead to more investment and more employment, thereby stimulating housing demand and prices, ignores the fact that the US is already at full employment, and many jobs remain unfilled simply because the US lacks the skilled workers to fill them. US companies have previously hired programmers and engineers from abroad, but this seems unlikely to continue under the Trump administration. The wealthy and poor will not be affected similarly by increasing interest rates. The higher-priced home markets use less debt as a percentage of the home price, and those owners will benefit the most from rising stock prices – as a wealth-induced effect of owning stocks. But the lowest home price tiers have no stocks and use the most debt, especially the FHA and VA buyers, and these housing markets will be affected the most because those prices will necessarily decrease as rates rise. … Another example of how the rich get richer and the poor get poorer as a result of government policies of the wealthy elite. It’s noteworthy that Trump’s first executive order after the inauguration was to suspend “indefinitely” FHA premium rates, costing each low-income homeowner across the US about $1,000. 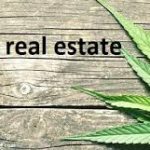 Can Real Estate Now Be Used for Marijuana Business? Although many states have legalized marijuana, the possession, distribution, and cultivation of marijuana remains illegal under the federal Controlled Substances Act. Because federal law still prohibits the use or sale of marijuana, any individual or business providing services to marijuana-related businesses (MRBs) could be subject to criminal charges for aiding and abetting, or conspiracy. 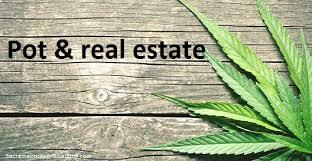 The receipt or transfer of proceeds from the sale of marijuana, such as rent from an MRB tenant, is a violation of federal anti-money laundering laws. In addition to the ongoing criminal exposure, certain economic risks remain. 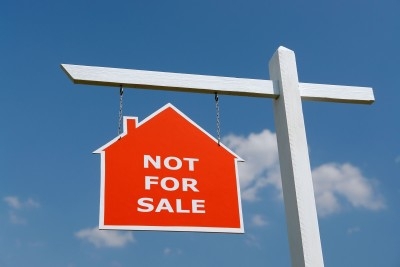 For example, property used for the operation or assistance of MRBs remains subject to forfeiture. Further, anti-marijuana advocacy groups have initiated civil lawsuits against MRBs and businesses providing services to them, alleging the defendants engaged in a conspiracy to violate the Controlled Substances Act, which also violates the Racketeer Influenced Corrupt Practices Act. Small and start-up business entrepreneurs have the opportunity to test, market and sell their products and services in a retail mall or shopping center, with minimal lease liability, through pop-up store leasing. Increasingly more malls and shopping centers now lease to “pop-up” stores for periods as short as 30 days, even during the busiest time of year for retail shopping. In fact, many shopping centers now have space allocated year-round for pop-up stores, as a means of attracting more shoppers and minimizing vacant space. 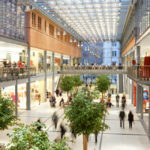 Wondering if your business would do well in a particular shopping center or mall? Try a pop-up store! The US Tax Code gives real estate developers and managers special tax breaks and benefits not available to others, allowing a certain presidential candidate to pay no income taxes for decades while profiting to the tune of almost $1 Billion. Here’s how: Let’s say a fellow named Donald buys a property for $1 billion, using only $300,000 of his own money and financing $999,700,000 with a bank (subsequently bailed out by taxpayers). When the investment fails and the property is sold at a loss, the bank absorbs almost all of that loss. However, (likely in part due to Donald’s previous lobbying expenditures) the Tax Code allows Donald to write off that loss (as a “net operating loss”), for the year it took place, plus the next 15 years, plus the 2 years prior to the loss, for a total of 18 years! So, using this special tax write-off, after a “paper loss” of over $900 Million, Donald could offset $50 MILLION PER YEAR in taxable income for 18 years, thereby paying no income taxes for almost 2 decades. Any US citizen (or illegal alien) who paid any income tax over the last 18 years can take solace in knowing they probably paid more than a multi-billionaire. According to CEL & Associates, as of 2016, only 10 of the top 50 occupations with the most job openings require any office space; and over 40% of the U.S. workforce telecommutes. The average white-collar worker spends only 30% of his or her time working in an office, and the average individual workspace is occupied only 55% of the time in a normal work week. The average U.S. tenant has 33% of its space as excess shadow space. 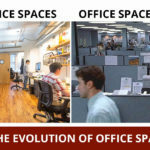 Co-working/Shared workspace now comprises 27 million square feet, and will continue to grow for the next several years. 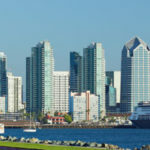 San Diego County has a severe housing shortage caused by the inability to bring to market new single-family or multi-family units, which will likely continue for the foreseeable future. 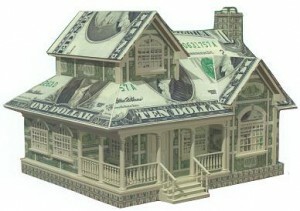 The result will be continued price increases in the sale and rental of homes. Those few units which can be developed will be located far from the locale of present and future jobs, resulting in longer commutes, greater congestion and increasing employee and employer dissatisfaction. Even if a shift in housing preferences to multi-family occurs, this will take time and not likely be a full shift. 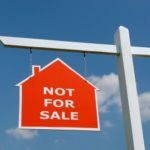 The housing shortage will also be exacerbated by aging Baby Boomers choosing to stay put, rather than downsizing or relocating, due to limited alternatives.